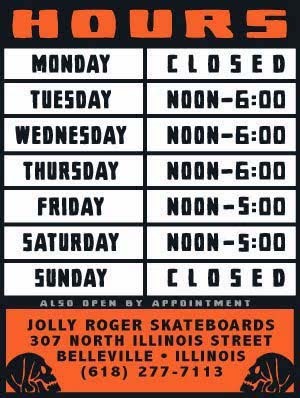 Jolly Roger Skateboards: Ol' Red - R.I.P. 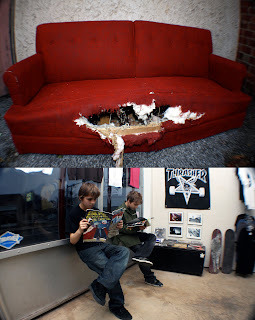 We would like to take this opportunity to thank all of those that stopped by to skate our couch over the last 5 months. It was fun while it lasted. I would have thought that Ol' Red would have lasted longer. But, she had a lot of heart and hung in there the best that she could. What a little trooper. We put her down at approximately 1:30pm yesterday afternoon and things have not been the same without her. Unfortunately, the ones that are suffering the most due to this tragedy are the ones that actually used to use the couch for sitting.